If you’re an old gamer(not old, just generally someone who’s been gaming for more than half a decade now), you probably would know about the Mortal Kombat and if you’re a young gamer, even, interested in fighting games, you’ll definitely know about the upcoming Mortal Kombat X. 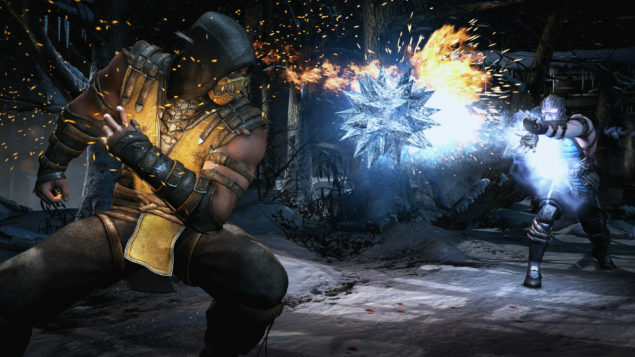 Being one of the 9 fighting games of the EVO 2015, Mortal Kombat is up there at the top in the list of fighting games. For those who don’t know what EVO is, it is the world’s largest fighting game event held yearly for over a decade now featuring only the best of fighting games in their genre and is a special place for gamers to come and meet up. You can read more about the EVO 2015 here. Moving on, The Mortal Kombat X is the tenth game in the Mortal Kombat series which has its legacy of the past to keep up with. The game is currently under development by NetherRealm Studios with a scheduled release for April 14, 2015. The game is being developed on the PS4 and the Xbox One and will later feature on the Windows and previous gen consoles. A few weeks ago, a list was posted on gamefaqs by one of its users which possibly contained the final list of all the characters left to be released. At that time, people were very indifferent about the list because of its reliability but after the release of yesterday’s trailer and the confirmation of the bow using character called Kung Jin. It so happens that the list turned out to be quite an accurate one and it may just be that the user was right all along. So keep your finger crossed for the rest of the list and these characters might just be what the game needs. We’ll keep you updated with any additional news on the game but for now, you can share with us which of these characters do you look forward to seeing in the game. The comments section is all yours.